Since it hosted the Olympics in 1992, Barcelona has overtaken Madrid as the most fashionable and interesting city in Spain. The main attraction of Barcelona is that it provides the mix of culture and city life, alongside the seaside location and sunny weather. Barcelona is a big city with lots to see and do, so it’s important to prioritise your sightseeing. La Rambla. This is the main tourist street in the town which leads from the Placa de Catalunya through the old town to the Mediterranean Sea. The route is lined with bars, cafes, shops and at the weekends comes alive with markets and street performers. 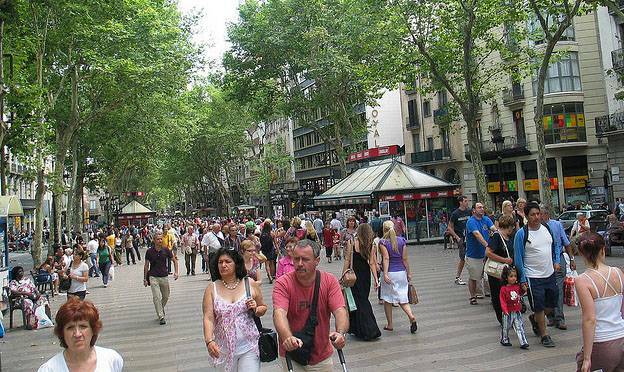 In recent years the Rambla has been extended by way of a wooden walkway over the sea and you can easily spend several hours meandering along the route. Old Town. Barcelona’s old town has not changed for centuries, and the narrow streets and high buildings are atmospheric and attractive. Don’t miss the Cathedral, and take time out for a coffee in one of the squares to take in the views and watch the world go by. Although crime rates are falling, it is best to avoid the narrow streets by the port area after dark though. Sagrada Familia. 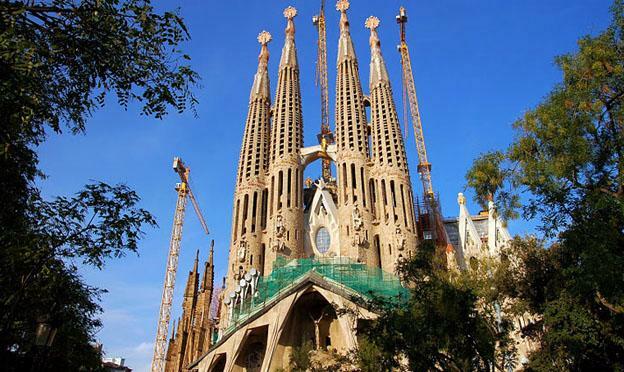 The spires of the unfinished cathedral of the Sagrada Familia are one of the iconic images of Barcelona and are one of the landmarks on the city’s horizon. Construction work is ongoing but the cathedral is open to the public. Climb to the top of one of the finished spires to get a great view over the city and down to the sea. Tapas. Bar snacks, or tapas, are a way of life in Spain and Spaniards spend a whole evening going from bar to bar and having a small snack in each. Avoid the bars right on the main tourist streets, and find places nearer the University or north of the Placa de Catalunya for good value tapas in a less touristy bar. 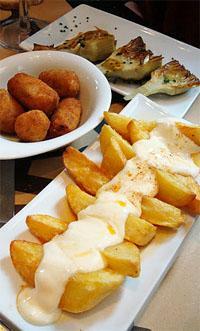 A local specialty is the spiced “patatas bravas”, or potatoes with a tomato and chilli sauce. Soccer. Barcelona FC’s Nou Camp stadium is one of the most impressive in the world and is well worth a visit, even for people who aren’t die hard soccer fans. The museum is interesting and educational, and tickets for matches are surprisingly good value. Locals are passionate about their football, and watching a match with 90,000 other fans in the Nou Camp is an experience which will never be forgotten. Olympic Port. The new marina which was built for the Olympic sailing events has become the preferred spot for a Sunday afternoon stroll. It makes for a pleasant stroll alongside the sea, with everyone playing the game of choosing which yacht they would buy should they win the Lottery. There are plenty of bars and restaurants in the area, and it’s a good place to have some lunch. Seafood features heavily on most menus and the set lunch menus are excellent value. Moraz Peers the author of “The best places to go in Barcelona Spain” is an avid traveler and writer who has recently moved to Barcelona Spain.